EI’s Megan Mahajan outlines how shifting from coal to clean energy could cut Poland’s emissions 40% and save $19 billion annually by 2050. EI’s Silvio Marcacci writes that a record-breaking offshore wind auction proves it is America’s biggest bipartisan success story. Former EPA official Margo Oge says Congress must support a green infrastructure plan in order to prepare for a warming world. Former Colorado PUC Chair Ron Lehr outlines how utilities can profitably manage the financial transition from coal to clean being driven by fast-falling clean energy prices. EI’s Mike O’Boyle outlines the “steel for fuel” strategy of swapping out coal for renewables while hitting the sweet spot on risk, return, and scale for utility customers and investors. EI’s Jeff Rissman outlines how cement manufacturing could shift from 5.6% of global CO2 emissions to a net-negative emitter by expanding carbon capture. EI’s Mike O’Boyle says offshore wind could be America’s biggest bipartisan clean energy success story in the next two years if policymakers design policies that cut project costs. EI’s Megan Mahajan details how the price to build new renewable energy has fallen below the cost of running existing coal-fired power plants across the U.S. 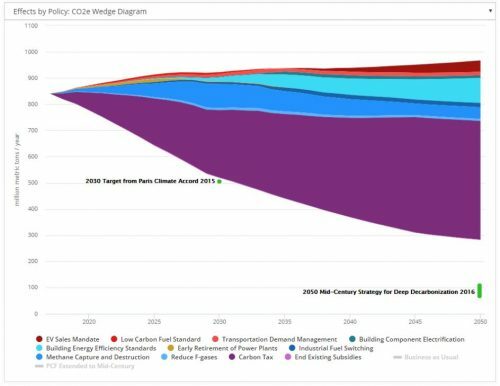 This Designing Climate Solutions excerpt outlines how carbon pricing is one of the most effective ways to reduce emissions, but isn’t a silver bullet. EI’s Chris Busch suggests that a hybrid carbon pricing policy taking the best aspects of cap-and-trade and a carbon tax could be a bipartisan success.